World Translation uses Plunet BusinessManager to manage translation tasks. BusinessManager is one of the leading platforms in the translation industry. As our customer, you can also enjoy the benefits of this platform. World Translation can provide you with a translation management platform. 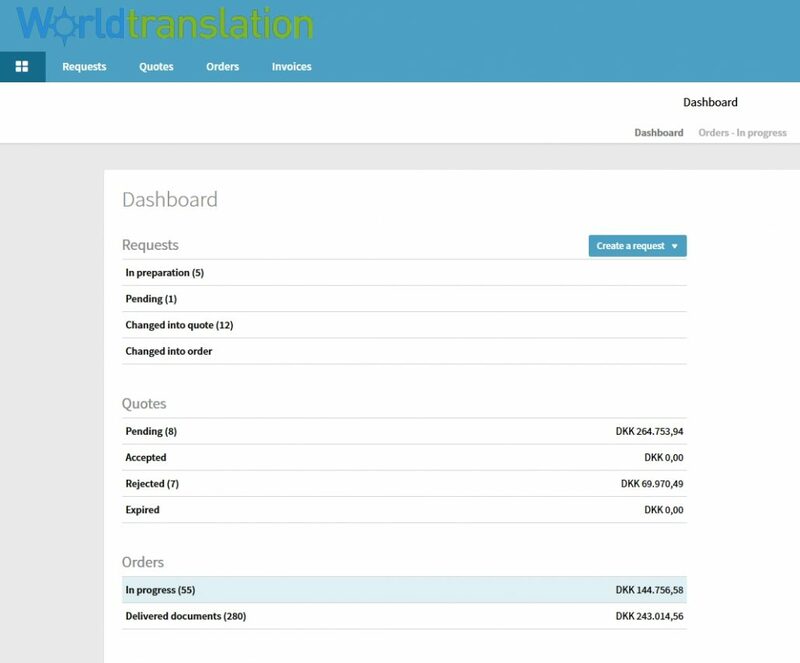 You can order translation tasks online, see overviews of your ongoing projects and transfer large files quickly, securely and easily. A great advantage with BusinessManager is that it is browser-based. You do not need to purchase or install software to get started. In addition, World Translation provides a free customer portal. As our customer, you can either have a personal login with individual rights or a company login that is shared. Direct contact with our customers is very important to us. Therefore, the translation management platform does not replace collaboration with our project managers. It simply provides you with the option of managing your translations online. Are you interested in integrated translation API? Automation of the translation process is also an option in connection with our translation management platform. The transfer of data between your system and ours can be automated. Both parties will automatically receive a message once the file has been transferred. In addition, our translation software applications are integrated, and the proofreading process can be managed via the platform. Learn more about automation on our web page about Translation API.